« Just About 100 Left To Go! Blue Lace Agate, Moss Agate, Garnet and Blue Topaz bracelet, necklace and close-up of necklace. 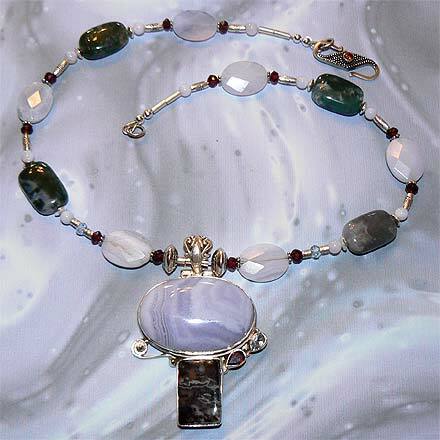 Sterling Silver Blue Lace Agate, Moss Agate, Garnet and Blue Topaz Necklace. 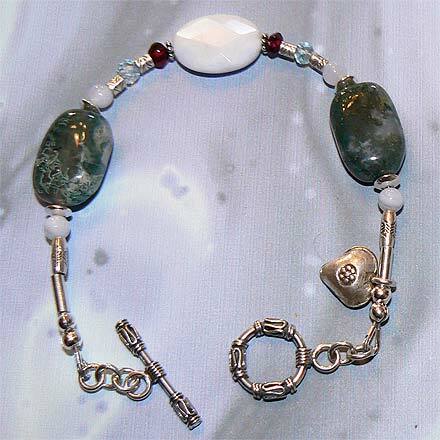 Sterling Silver Blue Lace Agate, Moss Agate, Garnet and Blue Topaz Bracelet. 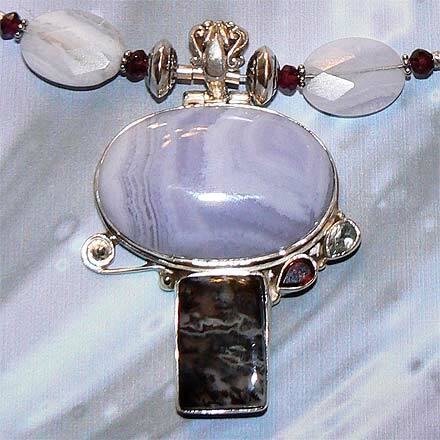 Evocative of melting snow and thawing ice and the grey stormy winds of March, a unique Agate duo of pale striated Blue Agate and mysterious dark Moss Agate. Necklace comes with a garnet Clasp.